Do you ever order the same dish again and again? At my gym’s cafe, I’d order a “Spinach Salad” almost every single time and the woman at the counter will give me a smile, already predicting the order. Not that there’s nothing else that is worth ordering… I simply love this salad to pieces even if in most days, there really isn’t a single leaf of spinach on it. Sometimes I’d get a plate of mixed greens or a mix of spinach and arugula… so I do get the variety in that sense. But whatever the greens are, it has become a staple lunch order when I’m at the gym. It’s really not the greens but what goes with it that I love. Imagine… sweet caramelized apples and raisins with chunks of blue cheese and bits of bacon. A winner through and through, don’t you think? But because I can have that prepared for me once or twice a week, I thought to use this as inspiration instead. I loosely adapted Donna Hay’s recipe and came up with this terrific salad. It has the same sweet-savory combination that goes so well with the peppery taste of Arugula but with an added crunch from the walnuts. 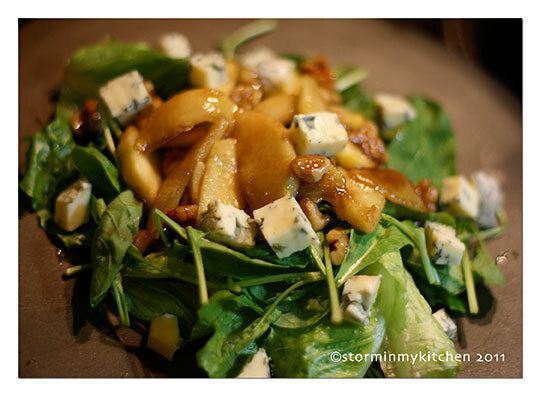 Blue cheese and the sweet, buttery apple dressing contrasts well together, add in the peppery tang of the Arugula – perfect. If walnut’s not your thing, almonds are great too. Place the butter, vinegar and sugar in a frying pan over medium heat. 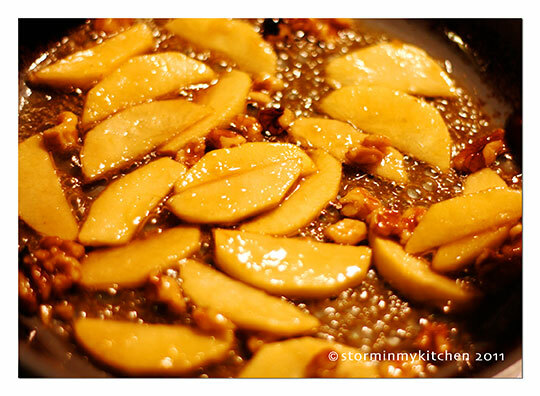 Add the apple and walnuts and cook for 4 minutes or until apples are just soft. Place the leaves on serving plates and top with the apple and walnuts. Spoon over the pan juices and top with the blue cheese. 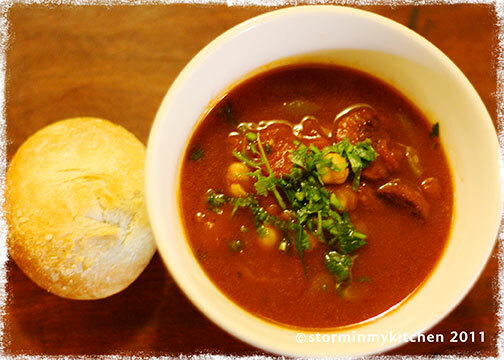 You are currently viewing the archives for November, 2011 at Storm In My Kitchen.